For her, he'll go to the edges of the universe. James Bauman's life flipped 180 degrees when he fell in love with Miriam Haworth, the most incredibly amazing woman he's ever met. If only she were human, things would be a lot easier. Miriam cannot love, but this won't stop her from trying. She must be careful, though. Strong emotions are forbidden in the Whisar Empire. If the council discovers that she's trying to fall in love with an earthling, they'll pull her heart out. Literally. James will do everything in his power to show Miriam what love is, but if he succeeds, the wrath of an ancient alien race might crash upon him... and doom Miriam forever. It starts as an experiment but steadily turns into something more. I must admit I don't normally read science fiction but this one caught my eye. It is the first book I have read of this author and I was pleasantly surprised. 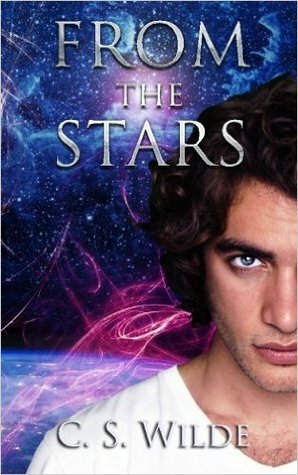 I loved the banter between the two main characters and the quirky aliens in this book. 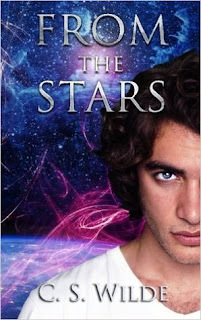 This book is about a romance between a human and an alien (Whisar). The human whose name is James Bauman is a computer geek and the alien is Miriam Haworth. They work at the same firm. James is in I.T. and their first meeting was when he was called to Miriam’s office to help sort out the problem on her computer. It was love at first sight for James. There was something about James that caught Miriam’s interest and over coffee breaks and lunches she gets to know James. Miriam feels that she can really trust James and a friendship is formed but then an idea so strong came to Miriam she wanted to take the friendship further and do the biggest taboo amongst her people, she wanted to feel love and so the story begins. This is a gentle love story but it also had funny conversations they share. I loved the Star Trek quotes and Star Wars woven in giving it a touch of normalcy. You feel for James he is totally into Miriam but she cannot feel for him like he does for her. As the story goes on you can see the warming up of this beautiful Whisar and one night James gets his heartfelt wish as Miriam turns to him and tells him how she feels. Miriam though is so confused, that she walks away leaving James heartbroken. But all is not lost as you read on in this delightful book as Miriam has a change of heart and she gets her real taste of human loving from James. “I cover her mouth with mine in a hungry kiss, the caress of her lips smooth and soft. I begin moving faster, building momentum. At one point, she raises her brow and moans once, then twice. Her muscles tighten a little and she stares at me. "What's happening?" There is so much more to this book. You get to know about the Whisar and their different outlook on life as we know it which makes for very interesting reading. Well done Ms Wilde I hope this new series of yours goes from strength to strength.